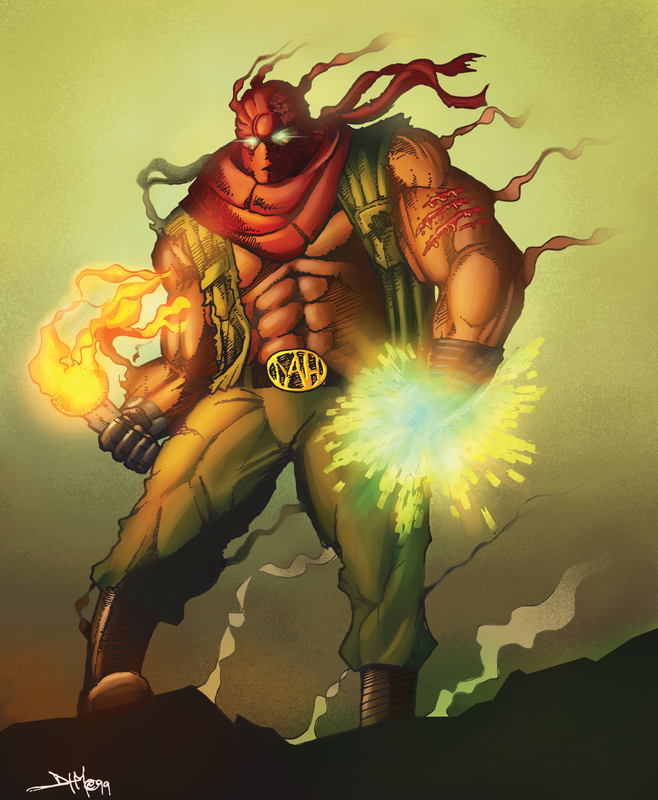 Before it was the Rage with Luke Cage and Marvel there was an original hip-hop super hero, conquering emcees, and all those who parley in the world of negativity, his name is Da Great Deity Dah. 21 Years ago Da Great Deity Dah released the Life or Death EP. 3 other Projects followed; Cerebral Warfare, To Take Hip-Hop Back and, Declaration of War CD & Vinyl release in 1998. To celebrate the 20th anniversary of Washington, DC's finest MC, last year Da Great Deity Dah returned to reintroduce a new generation to his material that bears great relevance to the happenings of the world today. With diverse rhyme styles, potent freestyle abilities, and explosive vocab Da Great Deity commands the mic supremely. He covers wide ranging topics with fervor like the prison industrial complex in Narcotics, or police brutality in Introspective, or slavery in The Middle Passage, or global warming in Elements of the Universe, or student debt crisis in Running Off With Your Cognitive Patterns, or spiritual warfare in Penetrate the Soul. He can rhyme over anything even Beethoven’s fur elise in The Plague. A 90s MC, he can take people on a musical journey and fans in over 4 continents and over 30 countries have purchased the material thus far this year without the aid of a major record label. Music however is just one piece of a multi-media, technology, and cultural phenomenon. This past November Students at Carnegie Mellon University, along with his son who is an Engineering Major there, remixed his classic album Declaration of War. There is a smart watch, a comic book, action figure USB, WiFi Power banks, and a total of 6 albums to be released in multiple formats including: streaming, digital downloads, Vinyl, action figure USB's, and CD’s. An eternalist ever-navigating the universe, Da Great Deity began his soulful expressions on this plane in the early ‘80's. He has since developed the energetic style which has hyped crowds from Bogota in Colombia to the Brussels in Belgium. A man gains immortality when his daily goals and ideals are worth dying for, therefore when his body decays his soul will remain everlasting, Da Great Deity DAH explains. This creed is manifested in his daily strive to promote truth knowledge through his music providing an eternal legacy for future generations inside and outside hip-hop. 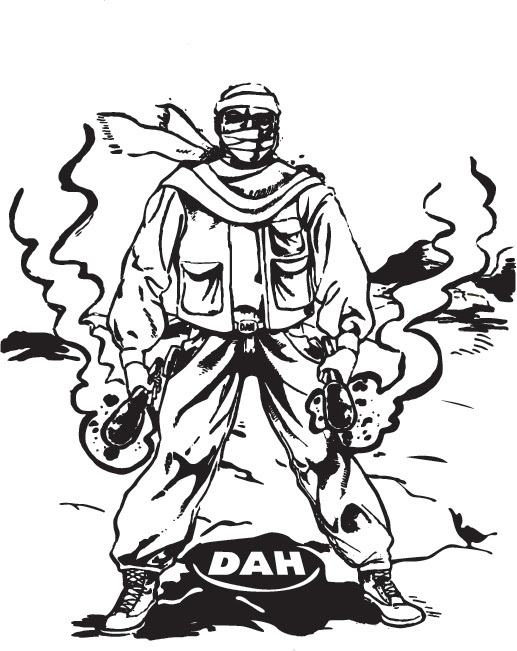 Beginning in 1996, Da Great Deity Dah released 4 albums thru 1998. Life or Death EP (1996), Cerebral Warfare EP(1997), To Take Hip-Hop Back EP(1997), Declaration of War LP (1998). Starting in 2016 with the 20th anniversary of Life or Death, Da Great Deity Dah is re-releasing all 4 albums and 2 more thru 2017. A new album, Dr of Rapmatics featuring unreleased music from the 90's sessions was also released in 2016. In 2017 Declaration of War Revisited, To Take Hip-Hop Back and Cerebral Warfare II are slated for release. A celebration of the 20th anniversary of Life or Death's 1996 release. Simply a hip-hop classic, and one of the best albums ever made. The re-release of Cerebral Warfare on CD Features the entire original EP with the additions of an unreleased track that didn't make the original release, and several remixes including the Ottawa remix of R.O.W.Y.C.P which was created on the journey to Ottawa from Hamilton, Canada and was performed live at the House of Paint show. Declaration of War Revisited is a double CD featuring the original classic album from the original master, and a second disc of the entire album remixed with additional unreleased tracks. The remixes are done by Moods and Vibrations from the 5 Bros MC's and Da Great Deity Dah himself. The first entirely new album from Da Great Deity Dah since 1998. Dr of Rapmatics features tracks that were originally recorded during the sessions for the first 4 albums. DJ Eskimo and Da Great Deity Dah worked to finish the tracks and the album was released on both CD and Vinyl.